The 6 Best Ways to Beat the Kitchen Heat - Nisbets Australia Blog - Industry news, trends, recipes and more! One of the biggest challenges during a busy service is heat. Pretty much every machine in the kitchen makes heat - ovens, grills, cooktops, sous vide machines and even refrigeration all contribute to higher, more uncomfortable temperatures. It can be a pretty unpleasant experience. Overheating can lead to tiredness, dizziness and nausea, so it's really important to keep both yourself and your kitchen as cool as possible. Here's how. It's useful to try prevent excess heat being generated in the first place. 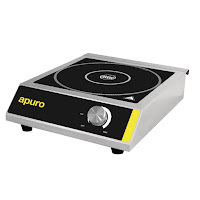 For example, Induction Cooktop Hobs channel almost all of the energy into the pan instead of the kitchen air. Not only that, induction cooktop hobs are far more efficient, as they only apply power when a pan is in position - making them safer too. Every professional kitchen should have sufficient ventilation in place, usually in the form of overhead extraction canopies. However, it's possible to improve the airflow throughout your kitchen simply by re-positioning machines so they don't restrict the movement of air. Large freestanding fridges near doors or windows can substantially limit airflow. Likewise, other tall obstructions near fryers can channel hot air and grease away from the extraction. Make sure all the extraction is clear, clean and free from debris. If you set up your smartphone for weather alerts (there are loads of free apps that can do this), you should know in plenty of time if severe weather is on it's way. 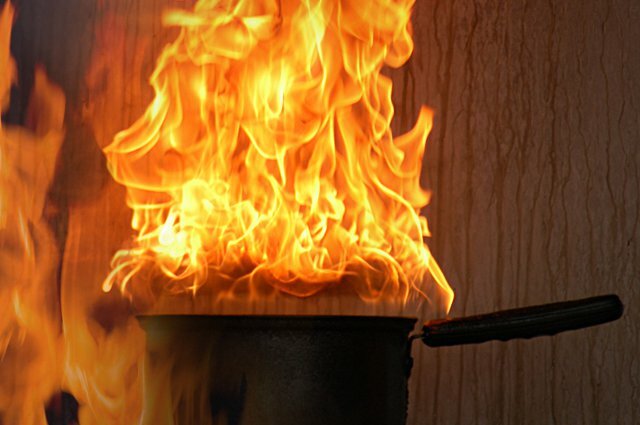 If it's going to be a scorcher, prepping earlier in the day (or even the day before) and then reheating when it's time to serve should prevent excess heat in the kitchen. A good option for cooking in advance is to seal the food in vacuum bags (use a vacuum pack machine) then cook in a Sous Vide Machine. The food can then be stored in your fridge or freezer, ready to cook whenever you need. Also, remember your Commercial Microwave. It's so easy to forget that reheating with a microwave is fast, economical and doesn't generate much heat. Regardless of whether a machine is being used or not, if it's switched on it can generate heat. When temperatures are high, it's best to only used the equipment you need to. If no-one is ordering hot drinks, perhaps the Hot Water Urn can be switched off, or at least turned to a lower heat setting. If your machines have an Eco mode, use it. The hotter your kitchen gets, the harder your refrigeration has to work to keep food cold. If your fridge has to work harder, the internal components get hotter, leading to an endless cycle which could damage your unit. Anything over 32°C on a regular basis and most standard commercial refrigeration could struggle to keep up. 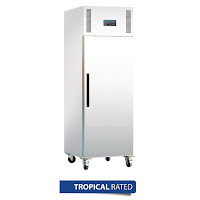 Heavy duty Tropical Rated Refrigeration can cope with much hotter kitchens and is usually rated for temperatures between 40-42°C. Look out for the "tropical rated" tag on related products. One of the easiest things to overlook when trying to keep a cooler kitchen is your Chef Whites. By their nature, chef whites are designed to be hard-wearing - preventing injury from splashing oil and burns. However, there are chef whites available which are specifically designed for use in a hot commercial kitchen. For example, the Le Chef Staycool jackets are lightweight, breathable and comfortable, whilst still offering the safety and style of more traditional jackets. Why not check out these other related articles?